We’ve got great gift ideas for moms, grads, and splurges for yourself too! We also have a fun new laser we can’t wait to tell you about! Keep reading for all of our VIP special offers and make note of our EltaMD Day on Friday, May 11. 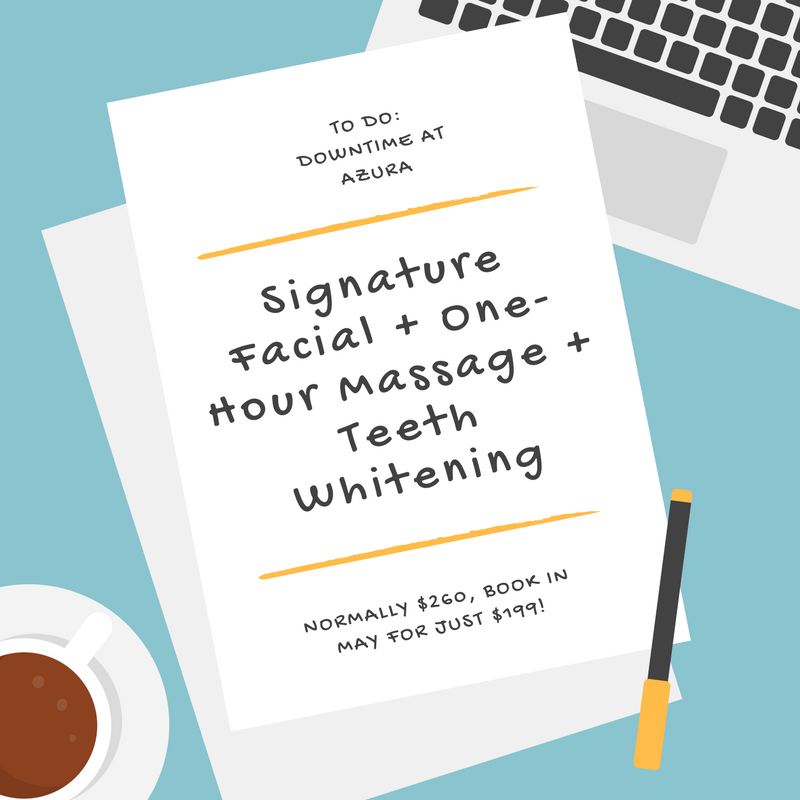 To Do: Schedule an Azura Visit! Find yourself letting self-care appointments take a backseat to… everything else? 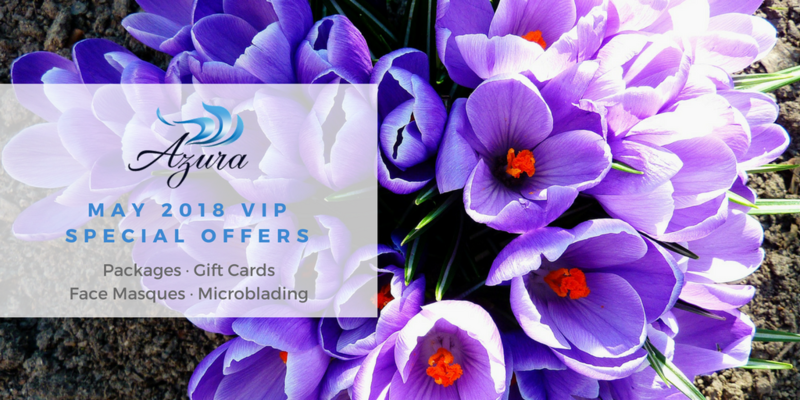 This month, take advantage of our special package pricing on three of our most-popular services to enjoy some downtime for yourself – or gift it to someone who deserves it, like mom! 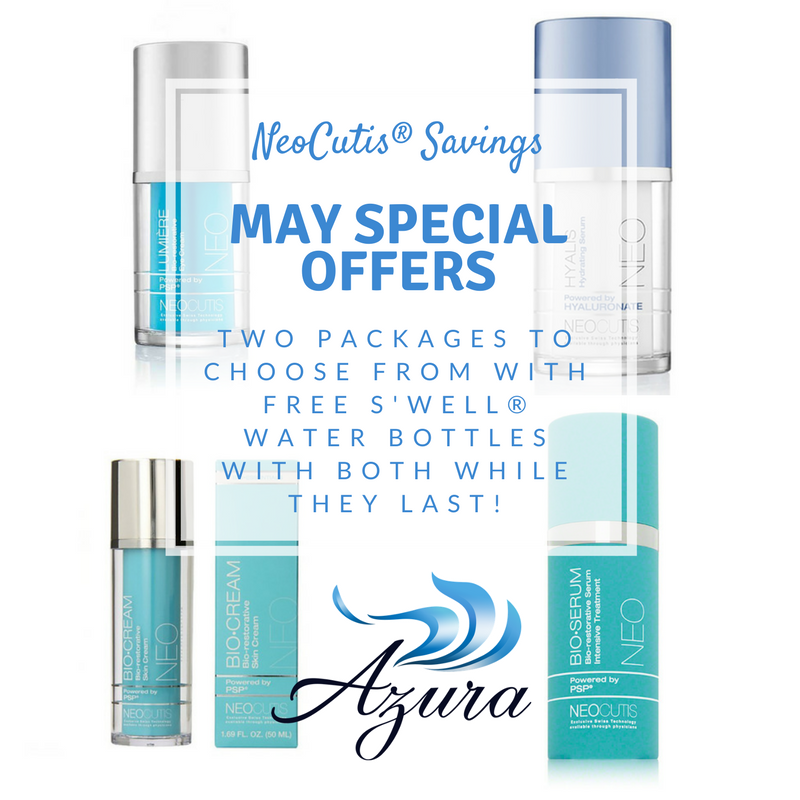 Two Special Ways to Save on NeoCutis® in May – Plus, Free S’well® Water Bottle! 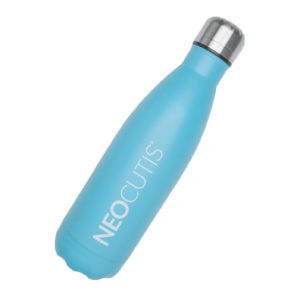 Normally $310 (not including the water bottle) – available this month for $270! PS: Water bottles are only available while supplies last, so get here early! Normally $325 – $299 this month only! Gift a Little “Me Time”… Or Enjoy a Little “You Time”! 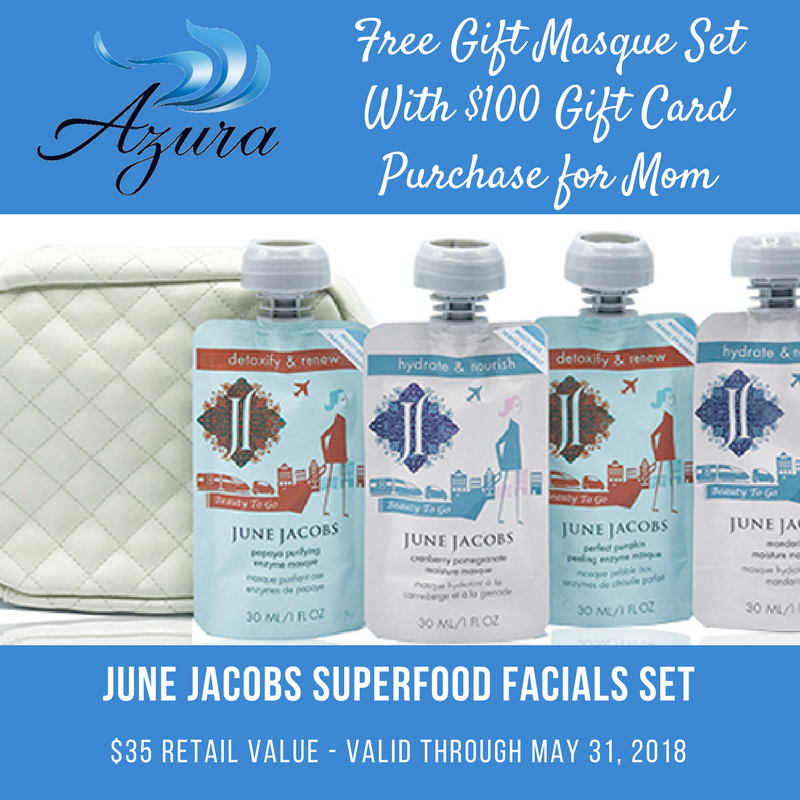 This month only, receive the June Jacobs Superfood Facials Set with a $100 or greater gift card purchase! We love this air-travel-friendly gift set that includes the Papaya Purifying Enzyme On-the-Go Masque (30 mL/1.0 fl oz), a Perfect Pumpkin Peeling Enzyme On-the-Go Masque (30 mL/1.0 fl oz), the Cranberry Pomegranate Moisture On-the-Go Masque (30 mL/1.0 fl oz) and even a Mandarin Moisture On-the-Go Masque (30 mL/1.0 fl oz). Perfect for the on-the-go mama in your life or even tossed into an overnight bag for girls’ weekends at the beach, lake, or mountains! Are you coming in for an injectable treatment? This is a friendly reminder that you can add on dermaplaning or microdermabrasion for just $50 when you schedule your injectable treatment! Save the Date: Friday, May 11, 2018! You know we are major advocates for wearing sunscreen all month long, but in the sunny summer months, it is especially important to protect your face from the harsh aging effects of sun exposure. 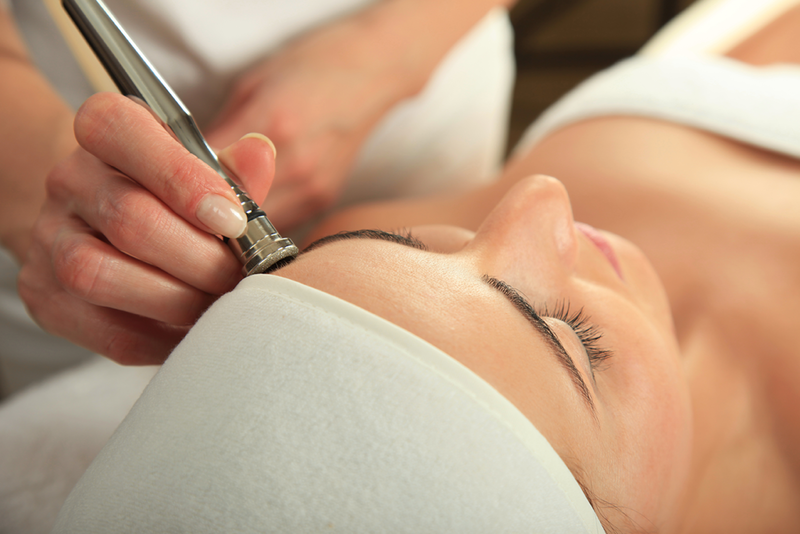 Join us at Azura Skin Care Center on Friday, May 11th from 9 a.m. to 5 p.m. for EltaMD Day! 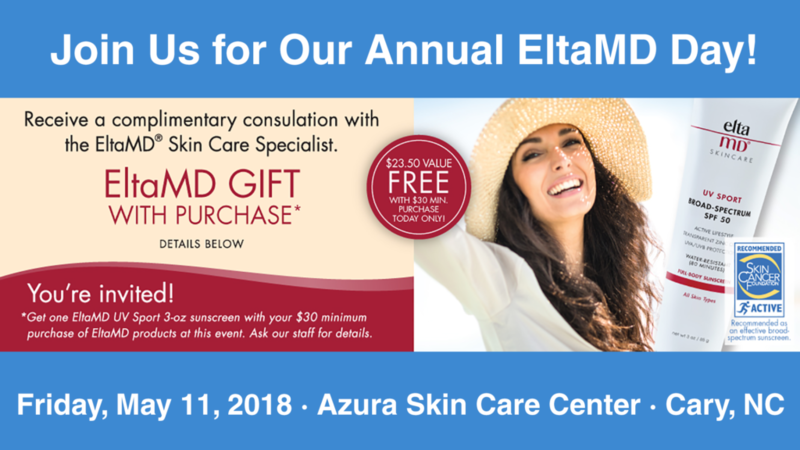 Get one EltaMD UV Sport 3-oz sunscreen with your $30 minimum purchase of EltaMD products at this event and receive a complimentary consultation with the EltaMD Skin Care Specialist – Amy will be here from 10 a.m. until 2 p.m. that day! We are so excited to welcome our newest esthetician, Brooke, to the team. Brooke specializes in microblading. So, what’s microblading you ask? 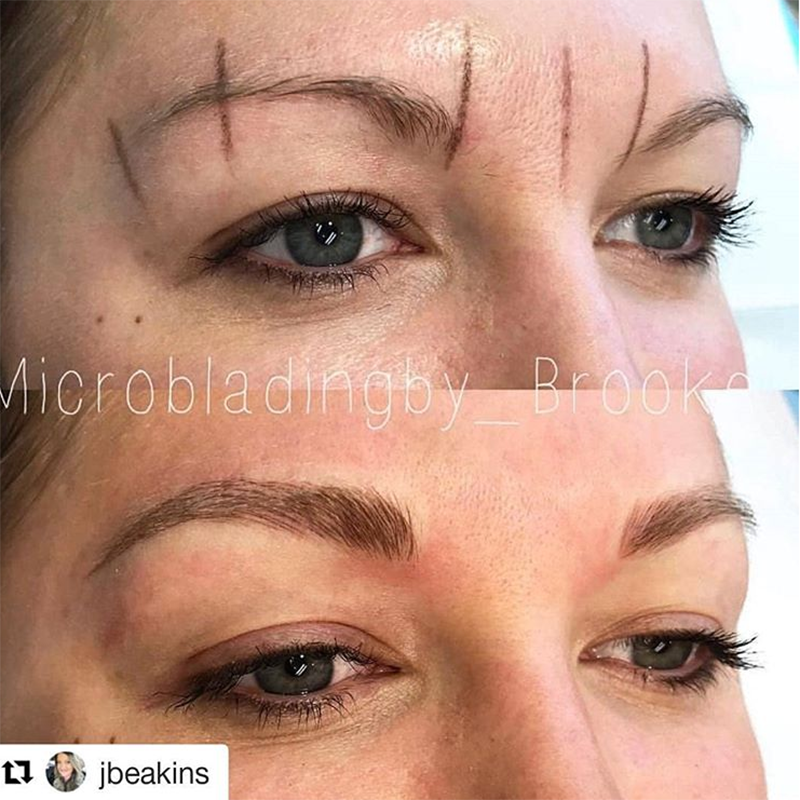 Microblading is a technique similar to tattooing used to reconstruct, define, cover gaps or fill-in over-plucked brows. This semi-permanent technique creates subtle, natural-looking brows with delicate strokes that mimics eyebrow hairs. 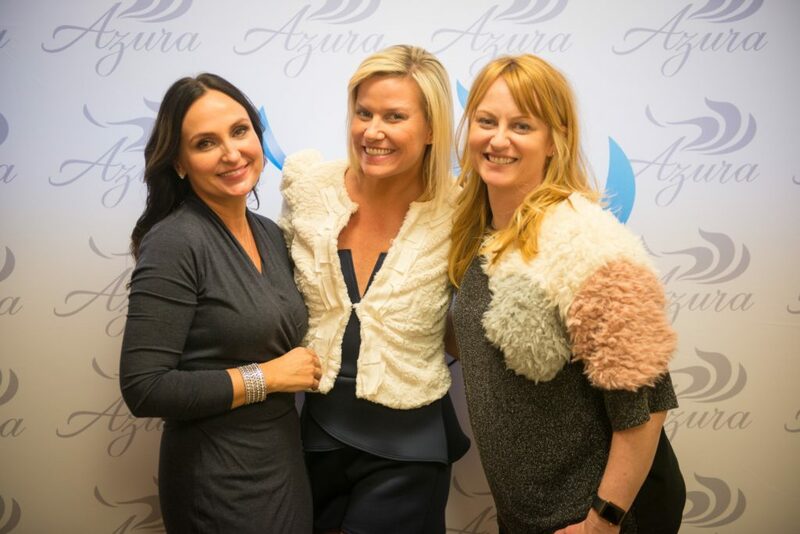 Make an appointment with Brooke and learn all about this new treatment being offered at Azura. The before-and-after photos above feature Azura’s teammate Julie and her fantastic results! Be sure to ask her about it next time you’re in. 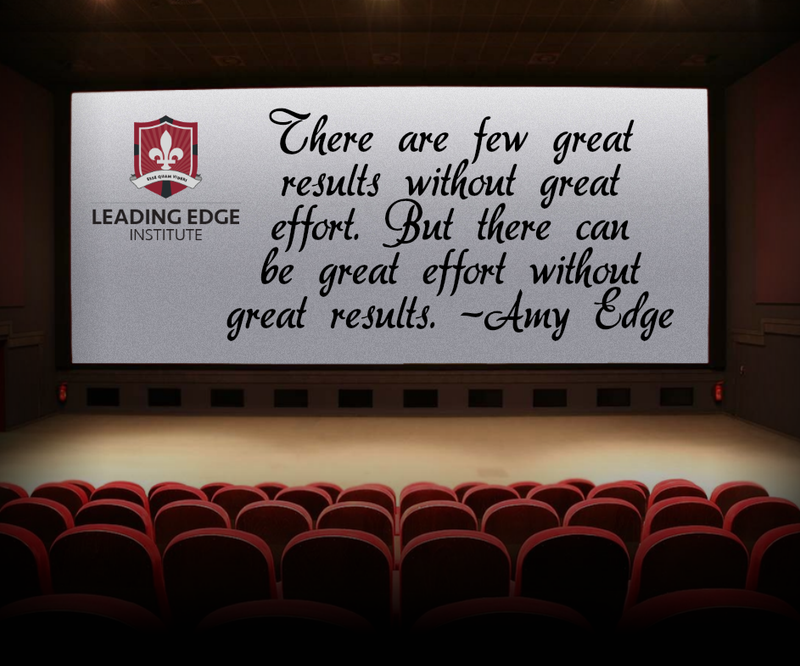 Azura Skin Care Center is so excited to partner with Amy Edge, CEO of Leading Edge Institute, to offer TWO complimentary workshops this month – exclusively for Azura’s valued clients! 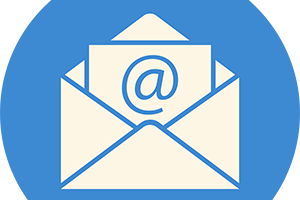 Sessions are one hour each and will be held at 341 Kilmayne Drive – Suite 204 – right here in Cary! Our second-anniversary party was QUITE the soiree with almost 300 of you in attendance, countless glasses of champagne enjoyed, and even more fun and laughs. As we pause in May to remember those who made the ultimate sacrifice while serving in our armed forces, we would like to remind you of our everyday discount for active members of the military. 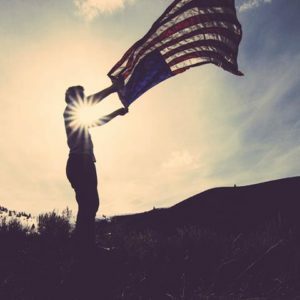 We are honored to provide a 10% discount on all services to active and retired members of any branch in the United States military upon presentation of valid ID. Thank you for your service and commitment!